16 June 2014. Last week, US authorities – the Food and Drug Administration and the Environmental Protection Agency – released draft recommendations how pregnant women and children should include seafood in their diet. The agencies now recommend women to include 8-12 ounces (240-360 grams) of low-mercury seafood in their weekly diet. The advisory has been a matter of controversy and its release has been substantially delayed. 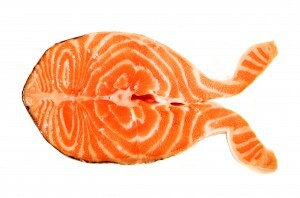 The main concern at the FDA is that 21% of pregnant women avoid eating fish altogether. The agencies highlighted shrimp, pollock, salmon, canned light tuna, tilapia, catfish and cod as reliable sources of fish oil and other nutrients essential for brain development. And the mercury pollution levels are low. As in the previous recommendations, pregnant and nursing women and young children are advised to avoid tilefish (from the Gulf of Mexico), shark, swordfish and king mackerel, due to their high content of methylmercury, a well documented neurotoxicant. For albacore (or white) tuna, the agencies recommend no more than 6 ounces (180 grams) a week. At this intake level, a pregnant woman eating no other seafood for a week will exceed the EPA’s methylmercury exposure limit by about 50% – a calculation that the agencies must have made, but do not share. Advice about consumption of tuna has been highly controversial, with the fishing industry criticizing any proposed limits. Another hidden fact is that canned tuna (“light” tuna and “white” tuna) accounts for an average of one-third of Americans’ methylmercury intake. Because some canned tuna can contain rather high concentrations of mercury, consumer groups advise against any canned tuna during pregnancy. As an additional source of confusion, inconsistencies are apparent in FDA’s table on mercury concentrations in seafood, especially for certain types of shellfish. American lobster is said to contain 47 micrograms of mercury in four ounces (120 grams) of “cooked fish”. If a woman weighing 60 kilograms eats a weekly lobster meal this size, she would exceed the EPA’s exposure limit (0.1 micrograms per kilogram of body weight). Still, results from FDA’s own analyses of American lobster showed an average concentration in nine samples of 0.1 micrograms per gram – one-fourth the level cited in the new advisory. Commercial landings of American lobster are primarily from coastal waters of the state of Maine, and monitoring by the EPA’s National Coastal Condition Assessment Program has found an average mercury concentration in lobster of 0.05 micrograms per gram – one-eighth the concentration listed in the new advisory. Such unresolved questions and concerns will likely spur a multitude of comments – to be uploaded within 30 days from 11 June, 2014. An additional issue, not mentioned in the advice, regards fish produced by aquaculture, which now exceeds the total tonnage of wild fish caught. Farmed fish may contain high concentrations of chemical brain drainers and was recently called Norway’s most toxic foodstuff. P.S. The state of Maine banned lobstering at the Penobscot River estuary earlier this year, as analyses had shown an average mercury concentration much above the state action level of 0.2 micrograms per gram. FDA’s data show that this action level is greatly exceeded by marlin, orange roughy, and albacore and large tuna species.